The Pro9 Corporate Rumble is proud to partner with Telethon Speech & Hearing in 2019 to raise much-needed funds for those in need. 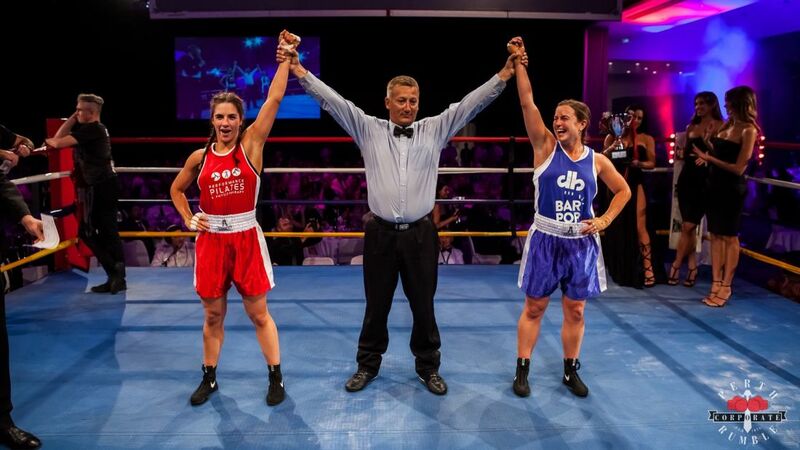 PCR is a charity boxing ball held at the Perth Convention and Exhibition Centre on April 13 in which 26 corporates from across Perth go head to head in the ring in front of a full house of just over 1,000 guests. All proceeds from the auction, silent auction and raffle go towards charity partners: Happiness Co, Telethon Speech and Hearing and the Fiona Wood Foundation. We have two incredible boxers stepping into the ring this year who are directly affected with hearing loss including Rachel Wilson and Jason Turner. With the support and guidance from the team at Pro9 Corporate Rumble and their families, both boxers are prepared to battle it out and fight for a purpose! Held at the Perth Convention and Arts Exhibition Centre, this unforgettable night is an evening of top class entertainment, passion, dedication and clean fun. On top of the blow-by-blow entertainment, guests are treated to a premium three-course dinner and beverage experience as well as the notorious after party where the ballroom is transformed into one big dance floor. Tickets to the Pro9 Corporate Rumble do sell out fast so it’s important to secure your tables early. For tickets and more information, visit www.perthcorporaterumble.com.au.